I've been on an organizing binge! No lie, I've been shopping for organizing trays and bins all weekend. 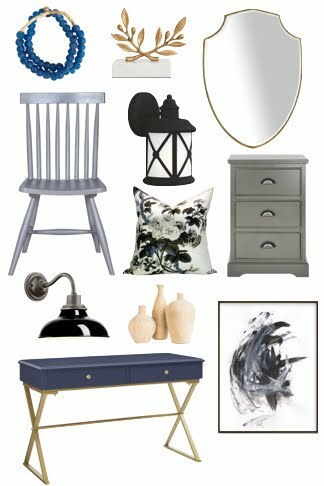 We even braved IKEA (a place I like to avoid on weekends) multiple times to get some storage. But the basement cabinetry is all done - toe kicks in, handles on, hooray! - and I couldn't wait to start moving Chloe's toys and my office and craft supplies down there. Time to purge and consolidate. The basement reno really turned our house upside down so we've got stuff everywhere. Slowly, things are being put where they should be and the nooks and crannies of our home are getting back in order. 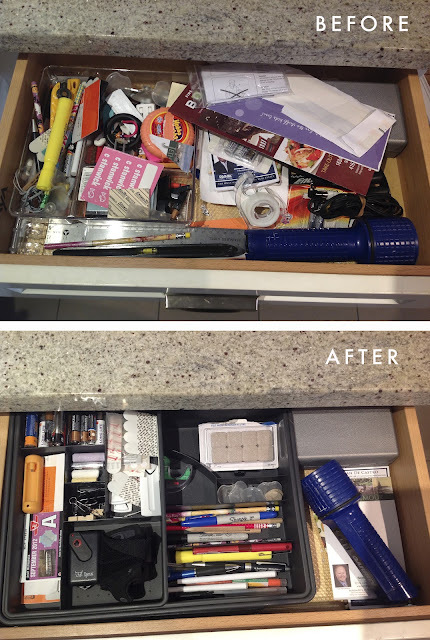 I decided to tackle the kitchen junk drawer while I was in clean-up mode. What were you up to this weekend? Surely it had to be more exciting than organizing pens and pencils!